Airedale Terrier Dog Breed Finger Pull. 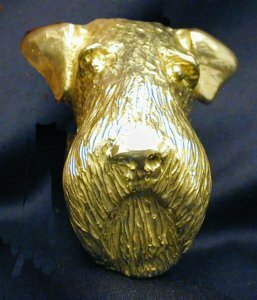 Our beautiful bronze Airedale Terrier dog breed finger pulls are a great alternative for knobs on your favorite piece of furniture or cabinet. What a great addition to the Airedale Terrier dog lover home! Our finger pulls are individually cast in bronze - a gorgeous way to hone your favorite breed!